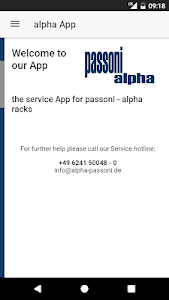 You got a rack from Passoni – alpha? This App helps you to handle and assemble it. 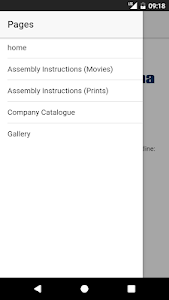 The App supports you with assembly and handling instructions as pdf-prints and small videos. The pdf-prints show the information with illustrations and text. The videos show the main steps of the assembly. The pdf-prints will be downloaded to the „Download“-folder of your Smartphone. So you can also find it there to watch it again without the App. The videos have the possibility to download the file the button on the video player for later offline use. In the gallery you find a lot of photos of assembled racks, so you can imagine what it should look like. Additional information can be found in the company catalogue. And if you got stuck or need further help, the service App provides the service hotline contact data. You got a rack from Passoni - alpha? 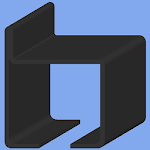 This app helps you to handle and assemble it. The pdf-prints will be downloaded to the "Download" folder of your smartphone. So you can find it there again without the app. The video has the possibility to download the file. In the gallery you will find a lot of photos of assembled racks, so you can imagine what it should look like. Additional information can be found in the company catalog.